I am doing my happy dance. 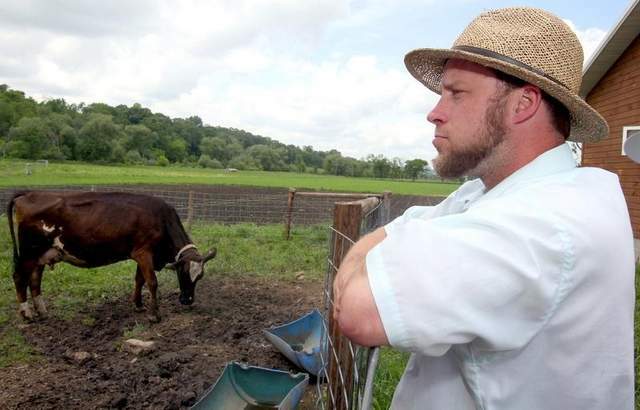 Vernon Hershberger, the Amish dairy farmer recently on trial in Wisconsin for providing raw milk to his community, was acquitted last week by a jury on three of the four charges against him. The state of Wisconsin charged Hersbherger with operating a farm store without a retail food establishment permit, operating a dairy farm without a milk producer license, operating a dairy plant facility without a license, and violating a hold order that the state’s department of agriculture placed on food on his farm during a 2010 raid. Hershberger was acquitted of the first three charges and found guilty of the fourth. His acquittal marks a huge step forward in the food rights movement because it upholds private contracts between individuals and counters overbearing government regulations. In the state of Wisconsin, it is illegal to sell raw milk. So Hershberger created a private arrangement whereby members of his community could become leaseholders on his farm, entitling them to a share of the farm’s produce — including raw milk. In essence, they did not “buy” milk, but a share in the farm. If leaseholders couldn’t contribute to the farm financially, then they contributed in other ways by mucking out stalls and doing various chores around the farm. The jury’s verdict sets a major precedent in distinguishing between those producing and selling food to the public and those producing and distributing food through a private contractual arrangement (e.g., agreement with a food buyers club). The prosecution spent days arguing that Hershberger was operating a retail operation. He had a farm store, a cash register, order slips, receipts. Yet the jury remained unconvinced. The state attempted to argue that Hershberger’s arrangement was no different than any other membership-based retail buying club like Sam’s or Costco. Yet the defense’s lead attorney, Glen Reynolds, argued that Hershberger operated according to Amish principles. If members fell on hard times and couldn’t afford the food, then they could get it for free. The state did virtually everything they could to cripple the defense before the trial even started. The State insisted on having the entire case tilted in its favor, and it got nearly everything it wanted from a compliant and biased judge. No discussion of the health benefits of food. No discussion of raw milk. No discussion of food safety. No discussion of criminal intent. No discussion of the merits of the holding order. The State thought it could sanitize the courtroom and the messages relayed to the jury as well as it oversees the sanitizing of our nation’s food supply. Yes. You read right. In a trial about raw milk, the words “raw milk” were not even allowed to be used. In fact, every time the words “raw milk” are about to come up during the proceedings, the jury is ushered out of the room. It happened Monday morning and again Tuesday afternoon. It would be funny if conviction for Hershberger didn’t mean jail time — for a father of ten children. He was asked by defense attorney Glenn Reynolds to explain why he sought out Hershberger’s food back in 2004, when he joined the food club. I know it’s becoming increasingly difficult in certain places to access food privately. But illegal to speak of it? That was a new one. This constant stream of objections? This is what happened at almost every turn, for hours on end, during the trial. Thankfully, the jury was listening and saw through the prosecution’s shenanigans. That jury trials are the way to go! Our founding fathers knew what they were doing. It was a jury that upheld private food rights and acquitted Alvin Schlangen last year. It was a jury that upheld private food rights and acquitted Vernon Hershberger last week. It also tells me that we need to support the work of the Farm to Consumer Legal Defense Fund. If not for their valiant efforts in both cases, who knows how these trials would have ended? Another way to help the FCLDF. Using Goodsearch, you can choose to have a penny for every search donated to the fund. It’s not much money per search, but it adds up over time, especially if you search for things often like I do. I grew up on raw milk and so did my own kids, were all healthy !!! Serious bias against raw milk here in the courts. What is this all about? It is so strange that certain terms were not allowed. They basically didn’t want the jurors to think that raw milk was better quality food, obviously. If the truth came out, then more people may want raw milk over that dead, pasteurized stuff! It’s all about control. Everyone must see the YouTube documentary – WAR ON HEALTH – a documentary on the FDA and where this is all heading. Great news! 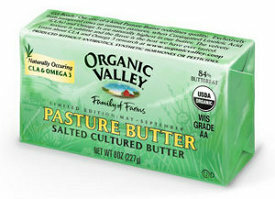 I grew up on raw milk, too, and love it to this day! Oh, this makes me soooo happy!!! Thank goodness for a jury smart enough to see through the fog of disinformation! A few more victories like this might convince state government that they have more important work to do than dictate what people can and cannot consume. This is amazing! I am so happy, I feel like doing a dance too! I hope that my family can join our local herd share soon… most of their goats were killed by coyotes. But, it should be up and running again soon. A small victory, but a good one. We should keep praying about it, God can win us a few more. I recently did a post on GMOs. Raw milk is so fulfilling in so many ways and I remember getting from our neighbours dairy. Then when I left school, my first job was working for our neighbours and every day before I started milking in the morning I would drink a jug of cooled milk that had been gathered the night before. Damn, it was good. While we were still kids, we would leave the milk until the cream would separate from the milk and then carefully pour the cream off for our breakfast cereal. Dang, those were the days. I have never had or heard of any complaint or medicinal problems from the practice. We need more of it. Good for the farmers! Sometimes, more regulation might be well-intended, but does not actually help people. Thank you to a very wise jury! One giant step toward health! Hooray! 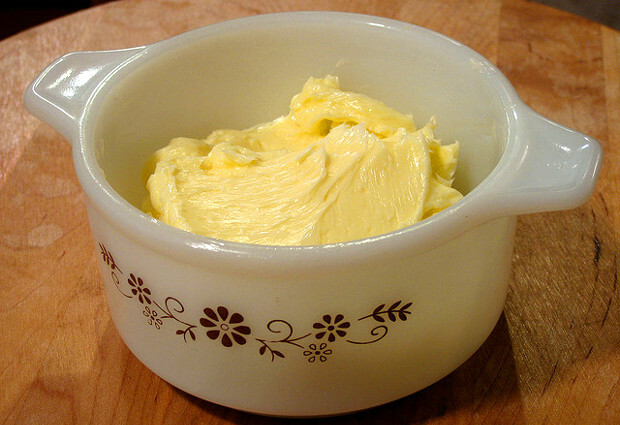 I grew up on a farm and we had our own milk and it was so good I loved the cream on top my Grandmother would make butter I loved watching her make it, I always say those great days are gone. Yay!!! I hope this sets a precedent and allows people and farmers the freedom to make healthy food choices independent of pressure from corporate greed. Happy dance…even if I’m sitting at the computer. Great victory for the preservation of our freedoms from corrupt and greedy regimes. This was essentially the real truth behind the universal gun background check. Not safety or health, but a back door approach to taxing and controlling and monitoring by ‘universal data base’ all private sales and personal transactions. Business licences, permits, and such were created for entities in the pursuit of profit from an occupational commerce choice in the general public market. The problem is the government wants IT ALL. This was a great victory for the people and our rights to personal privacy. The government cannot declare itself the boss of everything we do and be the ultimate authority of our health by using the excuse of protecting the ‘general public’ in terms of health issues. If they wanted to do that they should start with sanctioning corporatocracies like Monsanto or somehow preventing doctors from creating more drug addicts than the Mexican Cartels do. The Amish were picked on for self schooling while Catholic, and now Islamic Centers, have more than their share of proprietary schools. The Amish in Wisconsin should thing seriously about starting their own political block here. Remain on the offensive while we have the high ground! This makes me very, very happy! Way to go! What we eat/ drink shouldn’t be dictated by government. That was a big win for everyone! I’m almost speechless after reading the account of the testimony by a defense witness, Joseph Plasterer. All the objections to him telling the truth about why he wanted the raw milk. How in the world did if ever become illegal to drink raw, unprocessed milk straight from the cow? Cheering over here for this victory! Thanks for sharing!